Are you sure you want to remove The Yacoubian Building from your list? 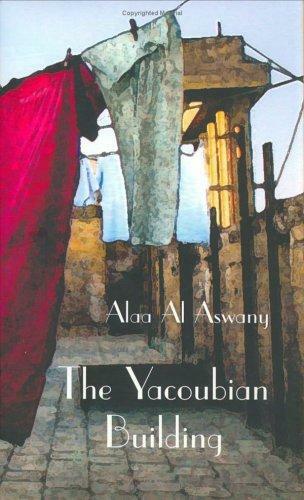 This controversial bestselling novel in the Arab world reveals the political corruption, sexual repression, religious extremism, and modern hopes of Egypt today.All manner of flawed and fragile humanity reside in the Yacoubian Building, a once-elegant temple of Art Deco splendor now slowly decaying in the smog and bustle of downtown Cairo: a fading aristocrat and self-proclaimed "scientist of women"; a sultry, voluptuous siren; a devout young student, feeling the irresistible pull toward fundamentalism; a newspaper editor helplessly in love with a policeman; a corrupt and corpulent politician, twisting the Koran to justify his desires.These disparate lives careen toward an explosive conclusion in Alaa Al Aswany's remarkable international bestseller. Teeming with frank sexuality and heartfelt compassion, this book is an important window on to the experience of loss and love in the Arab world. The distance between Baehler Passage, where Zaki Bey el Dessouki lives, and his office in the Yacoubian Building is not more than a hundred meters, but it takes him an hour to cover it each morning as he is obliged to greet his friends on the street.